This is a rare brie made in the Ile de France and mostly available today under the pasteurized brand Rouzaire. The white, bloomy rind is more prone to mottling. 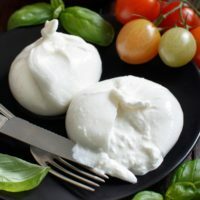 But remember brie ripens from the outside in so appearances are deceiving. Stories about this cheese date all the way back to Charlemagne. One day after he got done beating the crap out of Lombardy in 774 A.D., Charlemagne stopped by a nearby monastery. They served him brie and from then on he was a fan of both conquest and cheese. 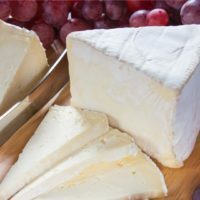 WHERE IS BRIE DE MEAUX MADE? It is made about a 1 hour drive east of Paris in the town of Meaux. 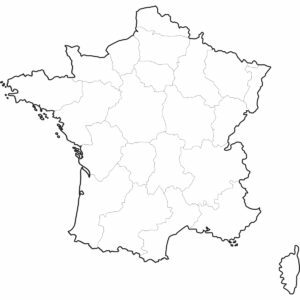 This is in the heart of the brie region of France. While there are many bries made throughout France, there is only one Meaux. The pronunciation of this town is identical to the English “Moe”. While it is a different language, someone neeeds to open a “Meaux’s Tavern” there! 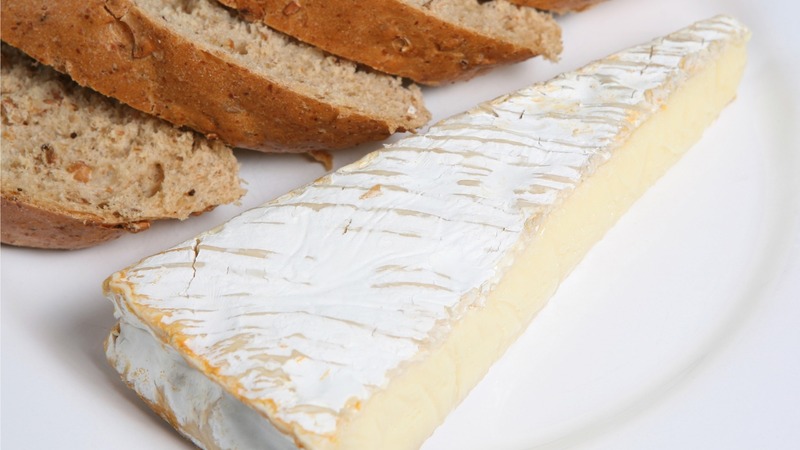 WHAT QUEENS DID WITH BRIE DE MEAUX IS TOO X-RATED TO DESCRIBE? Parisian expert Marie-Ann Cantin wrote a great book on cheese, the Guide de l’Amateur de Fromages, and in it talks about Brie de Meaux. Unfortunately, what the author explains happened a few centuries later with this cheese. The passages about this brie and Queen Margot discuss “ses desseins érotiques” and “La tradition orale”. They are risqué enough that they can’t be reprinted here. 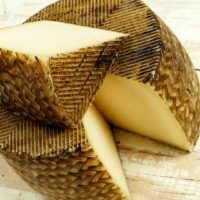 WHAT CAN I PAIR WITH BRIE DE MEAUX? While brie might seem like an innocent, mild creature it is not. A ripe slice will immediately overwhelm any very mild white or rose wines. So look more toward wines or ciders with a good body and robust flavor. For French cheese flights, try a nice Chevrot and a Cantal. However if you want to go more international, try an English Stilton and a Spanish Garrotxa.